I’m a sucker for a nice cool drink on a hot summer day. It gets a bit more complicated when a gal is trying to cut back on refined sugar and stay away from the artificial sweeteners because she has become convinced that artificial sweeteners are made from the tears of genetically altered baby bats. I jest, I jest, but I am really trying to stay away from refined sugar and artificial sweeteners. Enter Stevia. Stevia is a plant-based sweetener that has no calories. I also find Stevia doesn’t have a funky aftertaste. 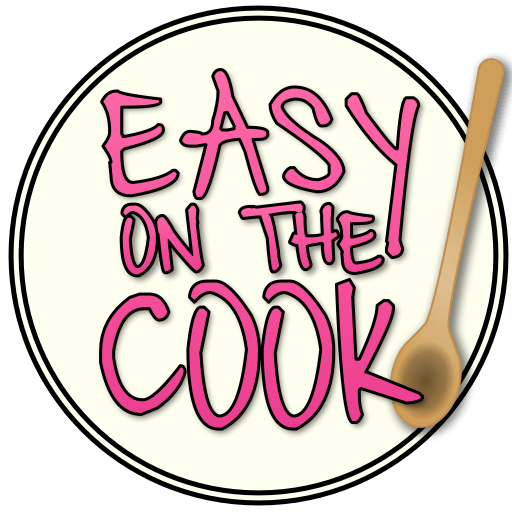 I have been successfully using it as a substitute for sugar mostly in drinks and salad dressing and based on that success I am going to experiment more with it in the future. I’ll be honest with you, squeezing lemons for lemonade is a bit of a pain, but fresh lemon juice is oh so worth it. And hey, you deserve nothing but the best. To get about a cup of lemon juice you will need six or seven lemons. A quarter cup of lime will be two or three limes. The only thing that might be worse than squeezing lemons is pitting cherries. But again the taste is worth it. 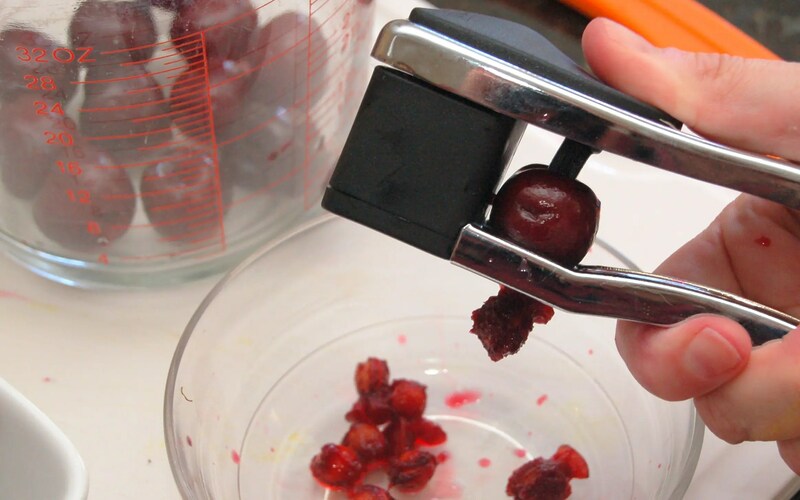 I have this nifty cherry pitter which works like a charm, but if you don’t have one you can try just using a strong plastic straw. It works pretty well. 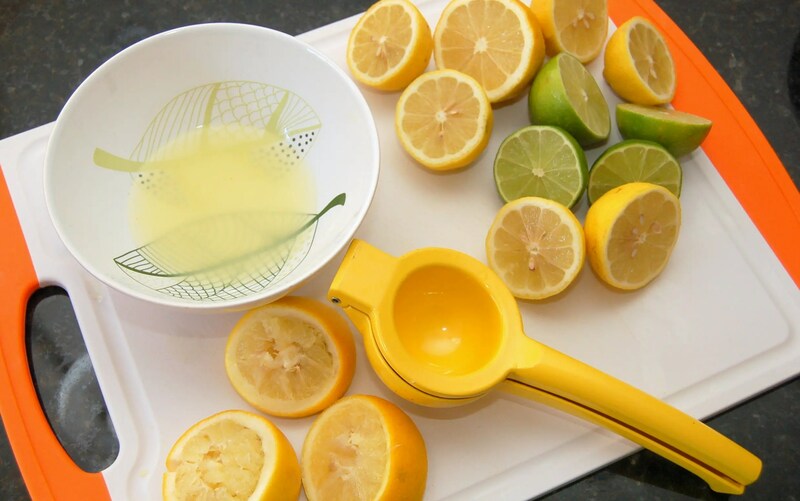 After you’ve squeezed your lemons and limes, add about 8 cups of water. If you are feeling fancy you can use carbonated water like I did when I took this picture. If you are feeling stressed, use tequila instead of the water. I KID! I am not a drinker but even I am pretty sure that would be too much tequila. One thing I have found out is that when using Stevia, the amount you need can change depending on which brand you use. Stevia is about 200 times sweeter than sugar but different manufactures try to make it more of a teaspoon for a teaspoon exchange. I used O Organics-brand Stevia (because it was on sale!) and I found about 15 of the small packages was the right amount for our test buds. Best to add the Stevia slowly and taste ’til you get it to the right amount of sweetness for you. Next, blend the pitted cherries with about a cup of the lemon limeade mixture. Again if you want to be fancy you can strain the cherries after you have blended them, but I don’t. I don’t mind a bit of the pulp in the drink. Then just mix the blended cherries and the lemon limeade together in a large picture and serve over ice! Juice lemons and limes. 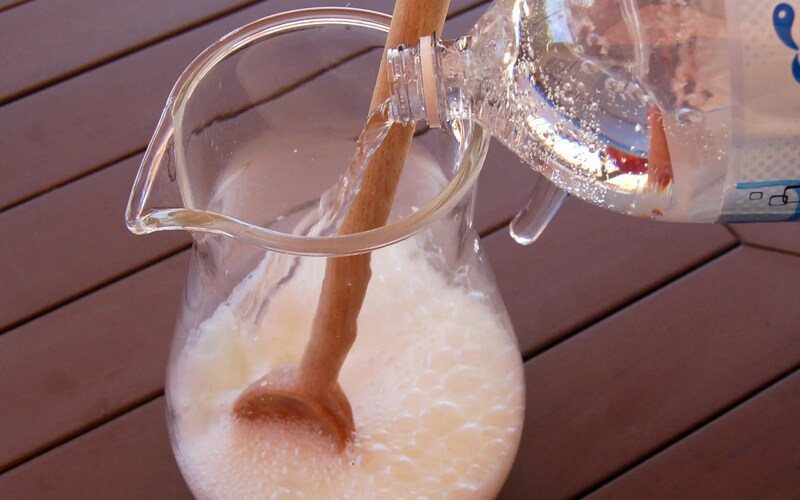 Mix together in large pitcher with 8 cups of water. 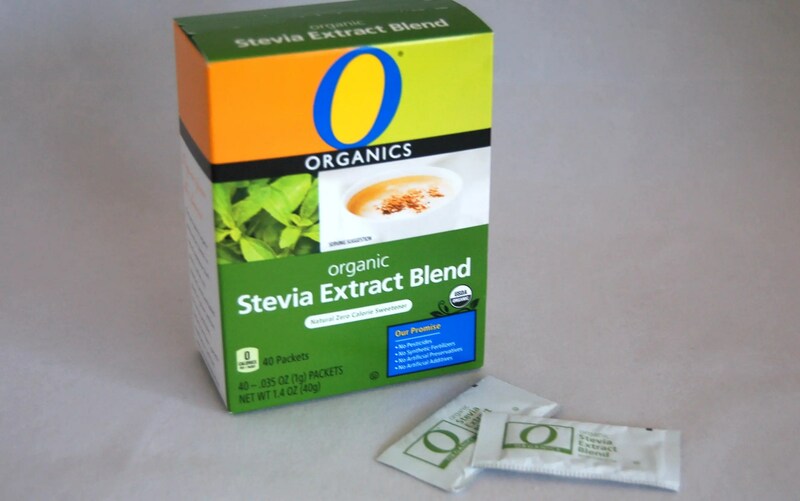 The amount of Stevia depends on the brand you use. Add the Stevia slowly and sweeten to taste. I used O Organics Brand and it was 15 small packets to get to the level of sweetness we like. 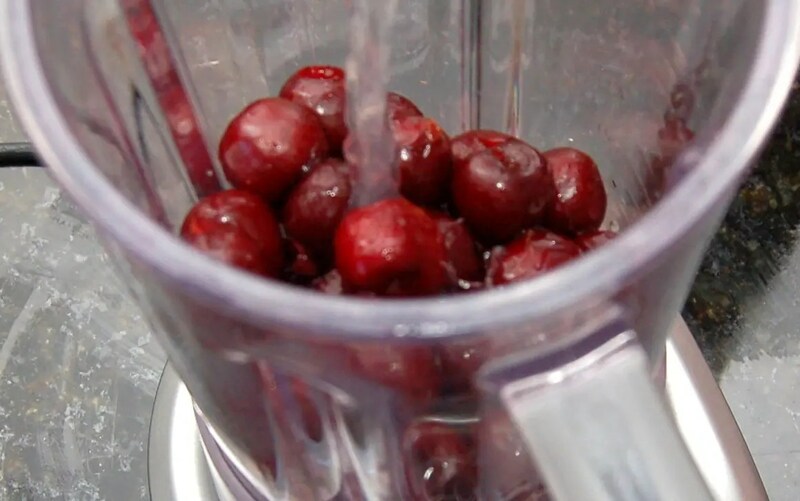 Pit cherries then blend in blender with about a cup of the lemon limeade. 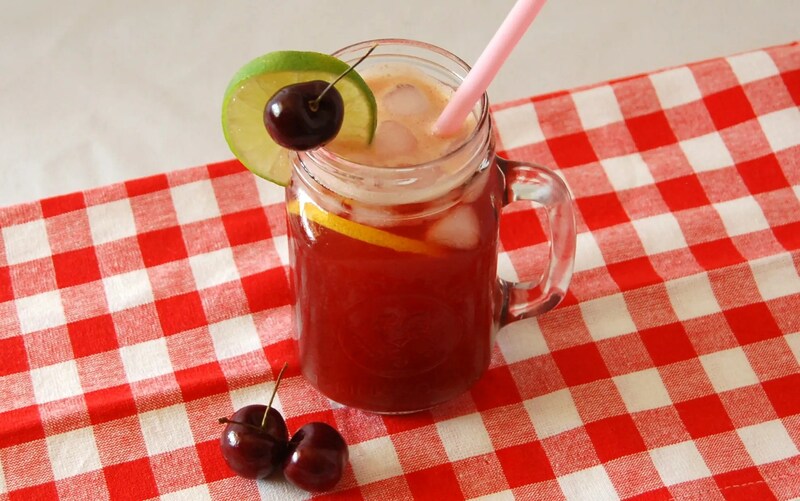 Mix pureed cherries and lemon limeade together and serve over ice. I don’t drink soda or sugary drinks, so I was excited to try this. I LOVE it ! For me its the perfect combination of flavors ! It’s so refreshing! Glad you enjoy it!